On 4th of March 2012, occurs the second edition of the gastronomical show “Local delicacies” at Hornbach Brasov. Hornbach, Palamari’s Cultural Center and Euro-toques Romania, together with the Master Chef of culinary art Robert Man, present and promotes the quality of the local culinary recipes from all areas of our country, so essential to demonstrate the inheritance of the Romanian culinary art acquired throughout time . In the space dedicated to shows and gourmet , will be prepared two special recipes based on seasonal ingredients : spring soufflé with spinach, green onions and forest mushrooms. Cheese-cake with berries or chilli peppers jam will be served as dessert. The special guest of this edition, Mr Dumitru Burtea, the President of Euro-toques Romania and the founder of National Association of Chefs and Confectioner from Tourism, will share from his experience the advertising of Romanian Cuisine to European and international level. 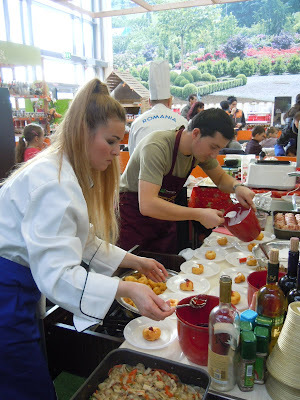 In December 2011, was organized the first edition of the gastronomical show. 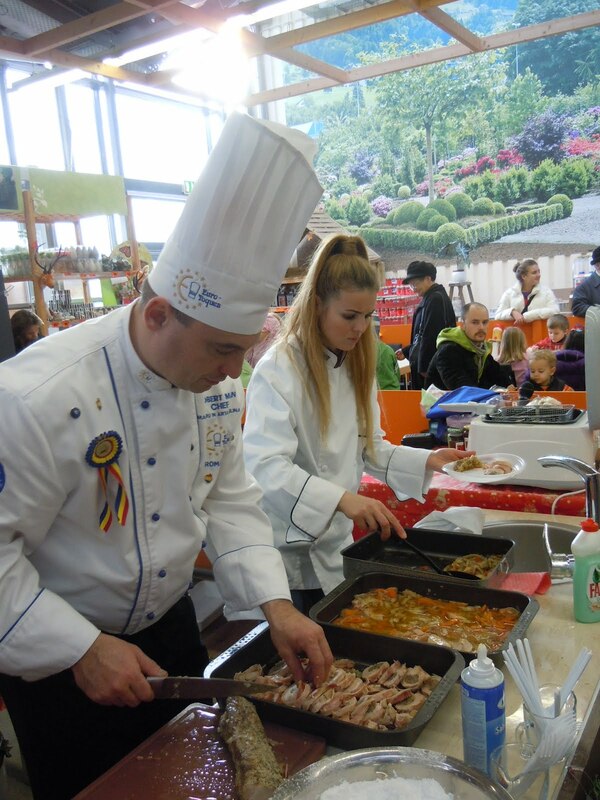 This was officially opened by Mr Ovidiu Ifrim, the chief and manager of Hornbach store, Manuela Palamari, director at Palamari’s Cultural Center, as co- organizer together with Robert Man, the Master chief of culinary art and founding member of Euro-toque Romania. 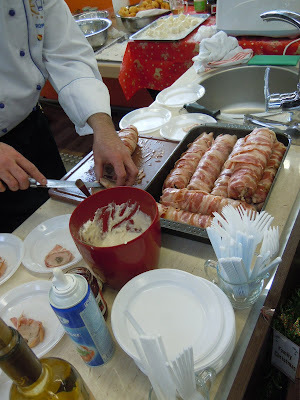 Over 150 guests had the opportunity to taste pork tenderloin with goat sausages, smoked bacon wrapped in cloak, accompanied by beech sponges, suppressed in smoked bacon, from grandfather’s pantry, with leeks and white Tarnave Oltenia wine, everything being seasoned with red chilli pepper jam an horseradish foam. Cheese pancakes (papanasi) with cream and blueberries jam were served for dessert. 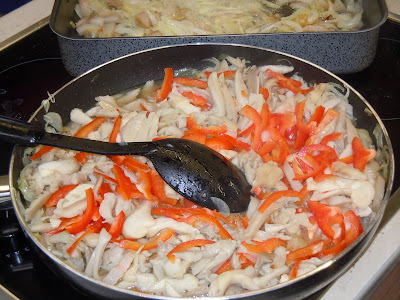 These were prepared following a traditional recipe from the area of Brasov. Gastronomical shows are initiated by Palamari’s Cultural Center and Hornbach within “The Exhibition of local products- Slow Food”. These events contribute to encouraging local communities to use traditional and natural food, focus on the product’s origin, the close link between elite producers and consumers as well as the fact that food is pleasure, culture and companionship. On 21st of February 2012, the 5th graders from the National College Unirea Brasov participated in a workshop focused on D.I.Y concept (do-it-yourself). Concerning the fact that 24th February is a traditional date in Romania when love is celebrated, the children had the opportunity to create original decorative objects using simple aids, special tools and a lot of imagination.